Good. 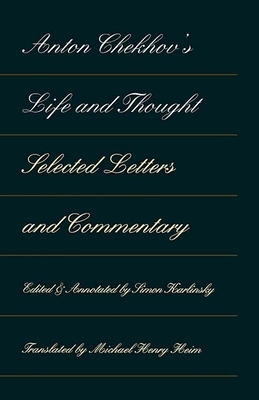 This collection of Chekov's correspondence is weighted heavily toward the letters dealing with literary and intellectual matters. It provides insight into Chekov's development as a writer. Trade paperback (US). Glued binding. 494 p.
New. Trade paperback (US). Glued binding. 494 p.
Good. X-Library with usual markings. Pages look clean. Cover reinforced with clear mylar. Paperback in good sturdy shape. Sale helps out community college honor society in Kingman, AZ. Ships out fast. Trade paperback (US). Glued binding. 494 p. Audience: General/trade. Good. Visible shelf wear, may have some notes/ marking on pages. Good. 0810114607 Bumped and creased book with tears to the extremities, but not affecting the text block and a remainder mark to one edge-Good.